In which Mike was too lazy to scan all these himself. 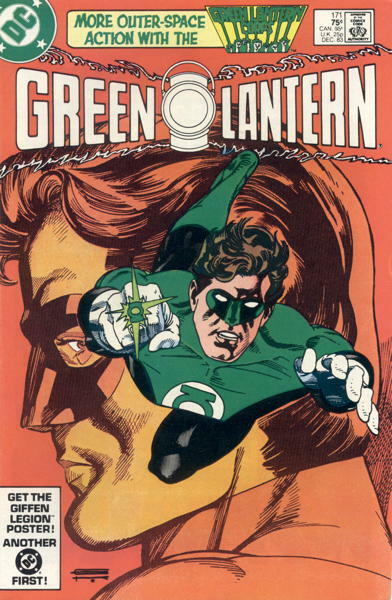 So the other day I noticed our Green Lantern back issue section was getting a tad thin, so I did a little restocking. 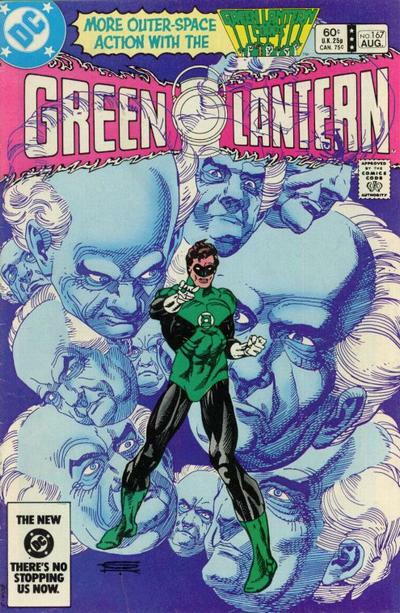 As I did so, I was reminded of that particular storyline in the early 1980s where Hal Jordan, the Green Lantern of Earth, was ordered by that gang of little blue Angry Police Captains to keep an eye on the rest of his assigned space sector instead of just hanging around his home planet all the time. 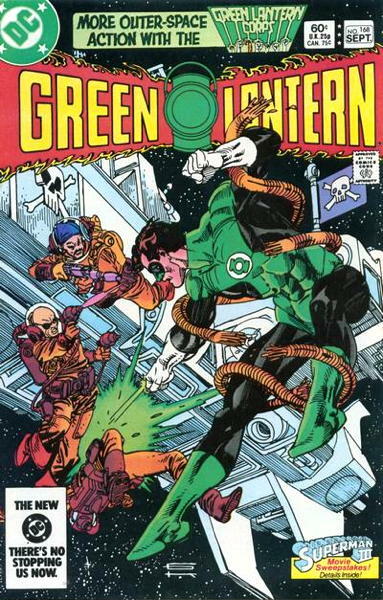 Thus, starting in issue #151, Hal was exiled from his homeworld and embarked on a series of exciting space adventures that, if memory serves, readers didn’t much care for, and I think didn’t sell all that well (i.e. 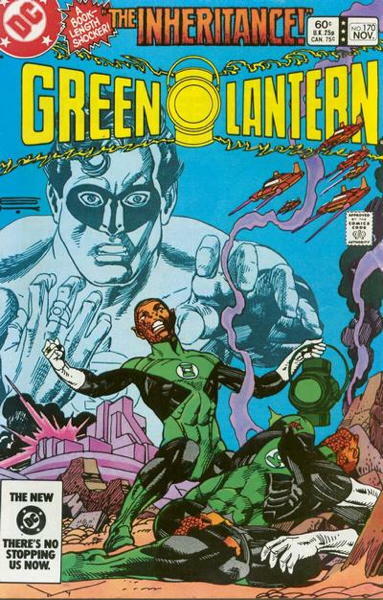 only achieved sales numbers that Marvel and DC would beg for today). 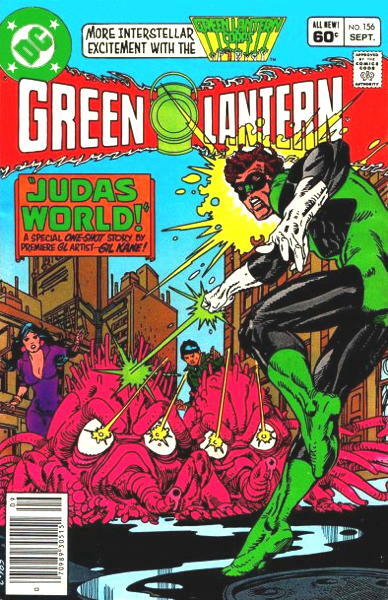 And then the next issue, #172, kicked off the new creative team of Len Wein and Dave Gibbons, and all was forgiven, but that’s not what I’m here to talk about. Anyway, this post was just an entirely transparent attempt to enjoy these covers again, and hopefully some of you enjoyed them as well. Kane’s art definitely flips that nostalgia switch for me. Also, that “exiled in space” storyline? 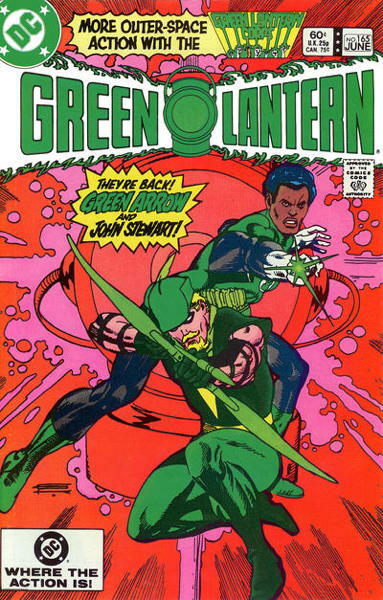 Only lasted 21 issues. Seemed like it was around forever…but at least it was around long enough to generate this fantastically tasteless cover, which makes it all worth it. 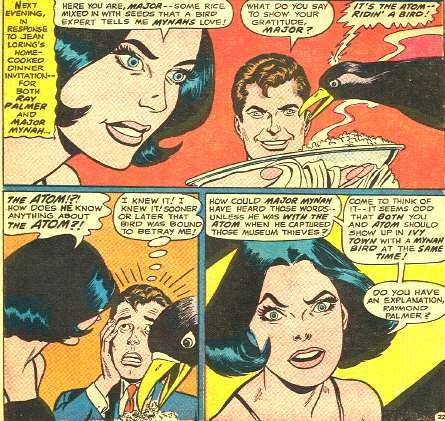 Let’s all just enjoy a swell Gil Kane splash with the Atom about to be flattened by an iron. While the look in that dude’s eyes is particularly creepy, for some reason his hands are terrifying. 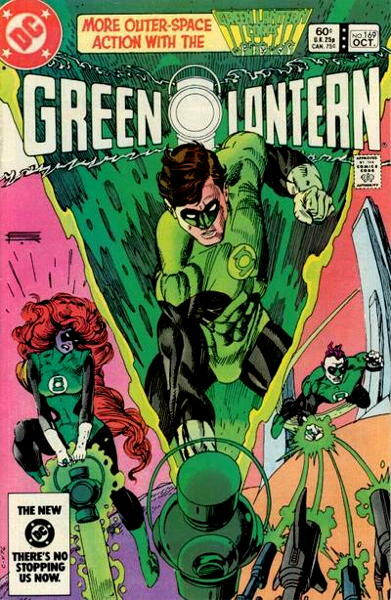 Let’s all just enjoy a swell Gil Kane splash with Green Lantern and Zatanna. 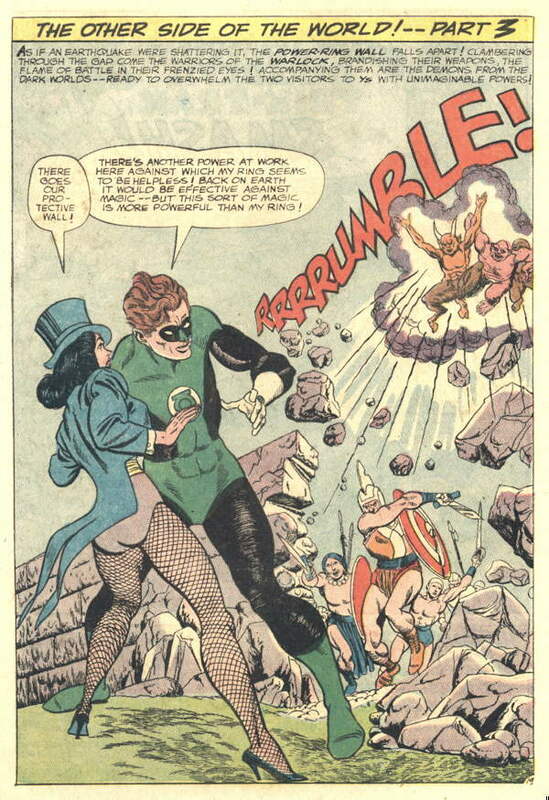 Someone ask Geoff Johns to bring back that Qwardian in the derby hat. I do have to admit that the very idea of Sinestro desperately trying to win a popularity contest tickles me. I can just picture Sinestro handpainting a bunch of “VOTE SIN” construction paper signs and hanging them around the school. 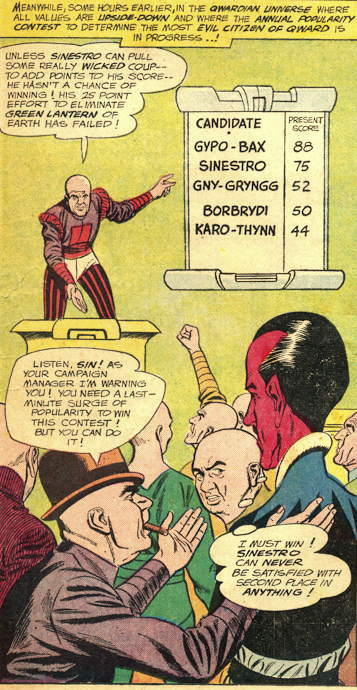 But then again, the very idea of Sinestro fretting about a contest like this, while appearing a bit silly to adults, would probably resonate with the school-age children this comic was aimed at. …he’s like the Qward Dimension Evil Anti-Matter Duplicate of Doiby Dickles. 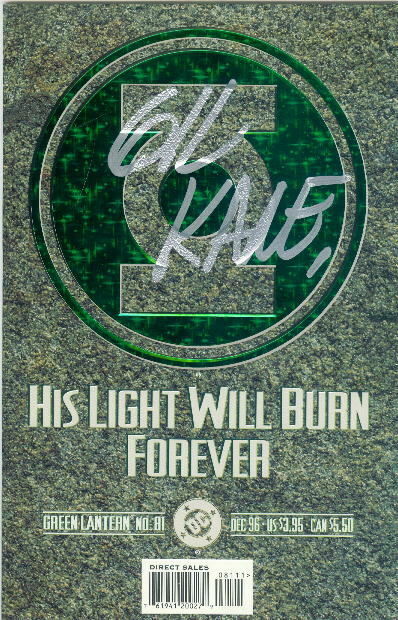 And that he’s Sinestro’s “campaign manager” is a hoot, too. You know Sinestro didn’t hire the guy, that he just kinda declared himself Sinestro’s campaign manager, and Sinestro simply can’t shake him off. 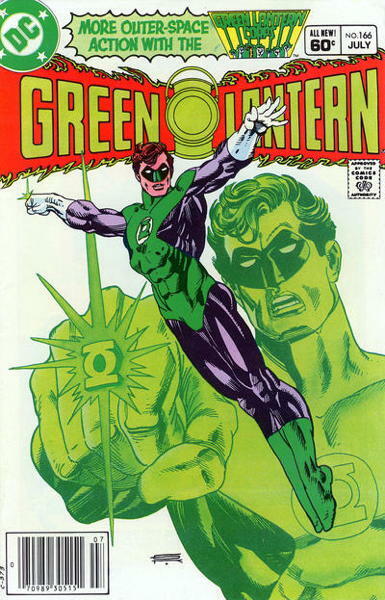 Oh, speaking of Green Lantern, I guess there’s a trailer out for the movie. 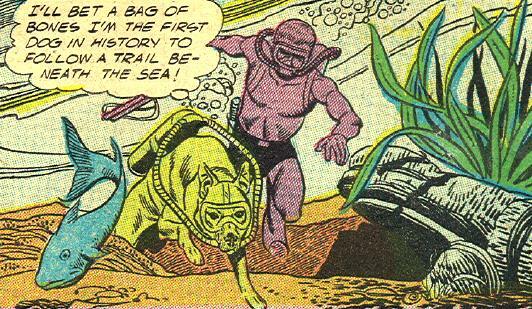 § October 15th, 2008 § Filed under gil kane Comments Off on DOG IN SCUBA GEAR. I bet you’re right, Rex. I bet you’re right. 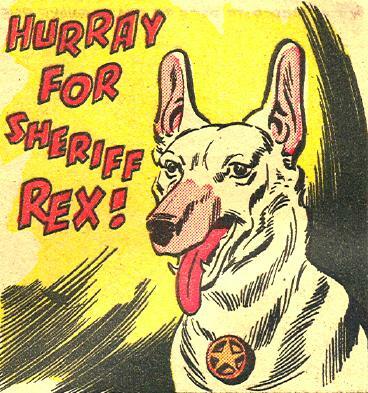 Adventures in Improbable Physics with Rex the Wonder Dog. § October 15th, 2008 § Filed under gil kane Comments Off on Adventures in Improbable Physics with Rex the Wonder Dog. 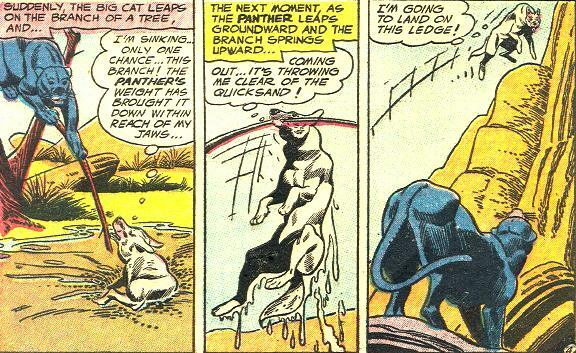 I mean, that seems like an awfully long distance for Rex to be thrown, especially after being yanked out of quicksand. 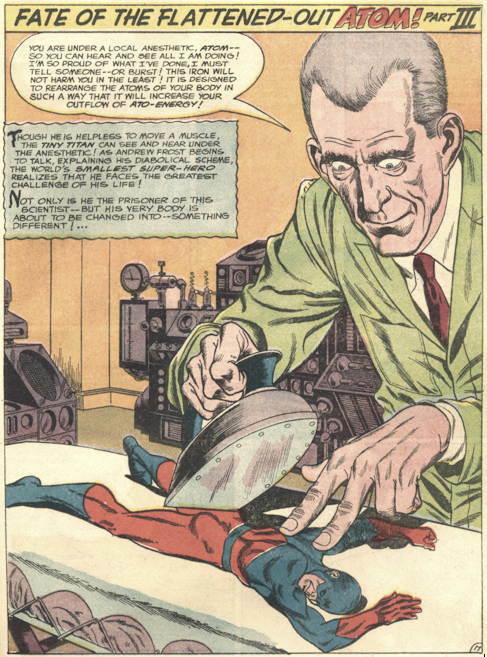 No wonder Jean Loring went insane. § January 18th, 2006 § Filed under gil kane Comments Off on No wonder Jean Loring went insane. 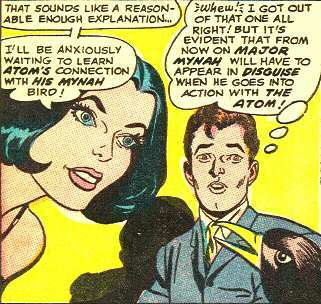 “I have an explanation as far as I’m concerned — but Atom will have to do his own explaining! What th–she bought that? And dig Ray’s solution to avoiding this problem in the future…in the great tradition of Ace the Bat-hound (under Jan. 14th) and Krypto the Superdog, AKA Skippy, Major Mynah will have to wear a disguise. Quite frankly, I think Jean and Ray are both nuts. The bird’s the only sane one.